The first thing you need to know about Extra is that it’s built on a rock-solid foundation, our Divi Builder. The Divi Builder allows you to create beautiful and unique post and page layouts visually, without touching a single line of code. It gives anyone the ability to create truly dynamic websites with ease. 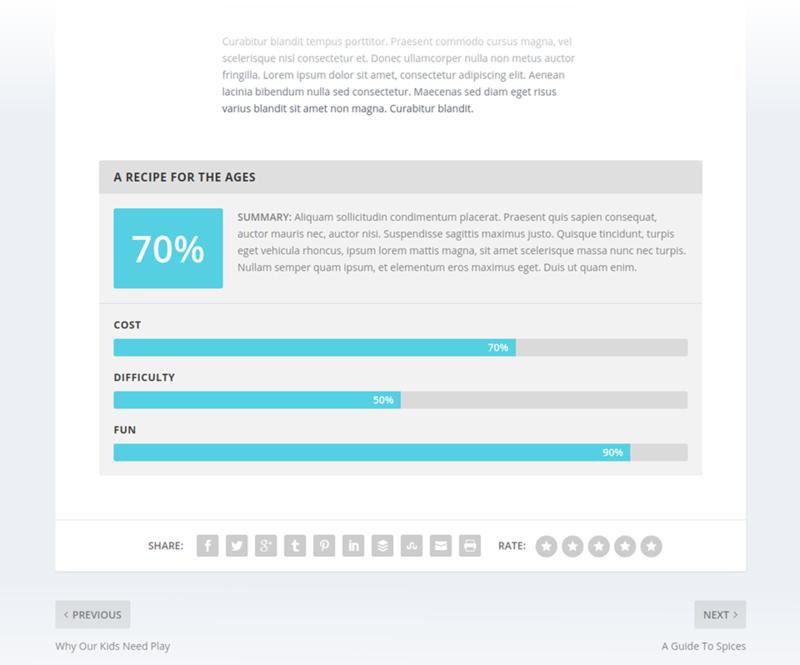 In many ways, Extra was conceived as the counterpart to the Divi Theme. Extra does the things that Divi was never meant to do. Beautiful, versatile, magazine-like layouts that cater to a variety of blogs and online publications are Extra’s forte. Robust customization options that allow for unique and elegant post feeds with a focus on social interaction and user engagement are Extra’s second nature. The bottom line is this: Where Divi’s primary focus is on the page, Extra’s focus is on the post feed. Extra extends upon its Divi Builder foundation with a brand new set of post-based modules. These modules bring the builder’s advanced drag-and-drop functionality to your home and category pages. Collectively, we call these new modules the Category Builder. Extra’s Category Builder gives you control over your home and category pages like never before, allowing you to completely build them from the ground up. This lets you break away from the standard, prebuilt category pages, so you can create unique experiences on a per-category-basis. Extra comes with a new set of Divi Builder modules built specifically for the needs of bloggers and online publications. These new modules can be used to build a variety of different homepage and category layouts. Now you can build a post feed to meet the needs of your unique content. Through the combination of different column structures and modules, a wide range of category and homepage designs can be created. Whether you are running a personal blog or a huge online media website, Extra can be tailored to suite your needs. Creating a Category Layout is done much in the same way as you would create a new page or post. 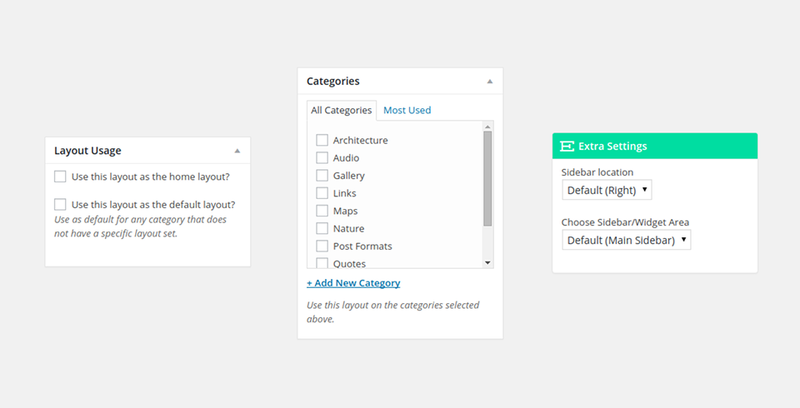 You will start by navigating to Extra >> Category Builder in your WordPress Dashboard. You will then be presented with a list of your existing Category Layouts. To create a new layout, click the Add New button that appears at the top of the page, next to the title. Next, use the Divi Builder interface to create your layout. Hint: Start out by clicking “Insert Columns”. In the left column you will notice a box labeled Categories as well as a box labeled Layout Usage and a box labeled Extra Settings. They allow you to configure when and where your layout will be used on the frontend of your website and if/how the sidebar should be shown. In addition to standard blog posts, Extra includes full support for two other important areas: Projects and Products. If you are a designer looking to showcase your recent work, Extra makes it dead simple. Looking to sell products to your readers? Extra makes that easy as well with built-in WooCommerce integration. Give your review posts some extra polish using Extra’s custom review system. It includes a built-in User Rating System allowing your site’s users to rate posts as well. This fosters user engagement and provides valuable insight.